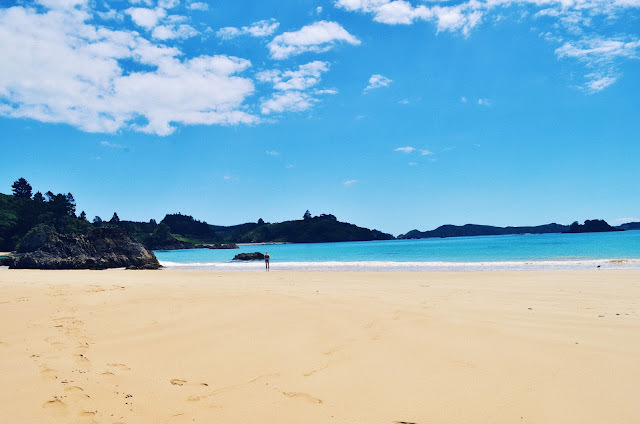 After our stay near the Haruru Falls we drove along the east cost of the Bay of Islands to Mahinepua Bay and found a beautiful, deserted white sanded beach with crystal clear water. 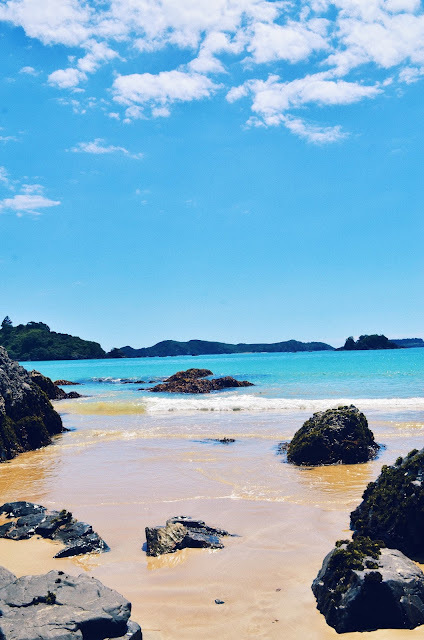 Once again pure perfection here in New Zealand. We could not believe it either.